It’s time to book your table for two! If you are trying to plan a date night, Plano is a great place to spend a special evening. Check out our staff picks for the most romantic dinner spots in Plano. For wine lovers, Sixty Vines is the prime hot-spot for Valentine’s Day. With over 40 wines on tap, an impressive seasonal menu (get the crispy zucchini, seriously!) and a dessert menu that ends any night on a good note, you can’t go wrong. Make your reservations now to snag a table at this sought-after restaurant. Pretend you are spending date night on an island in the middle of the ocean by dining at The Keeper. With some of the freshest seafood in North Texas, you and your sweet Valentine will be catching feelings while enjoying favorites like Lobster Linguine and King Crab Legs. Be sure to reserve your table now to guarantee a night to remember. Enjoy an unforgettable dinner made by world-famous chef John Tesar at the Knife Steakhouse. Stick to your Texas roots by ordering one of the many steaks on the menu, all sourced from local Texas ranches. 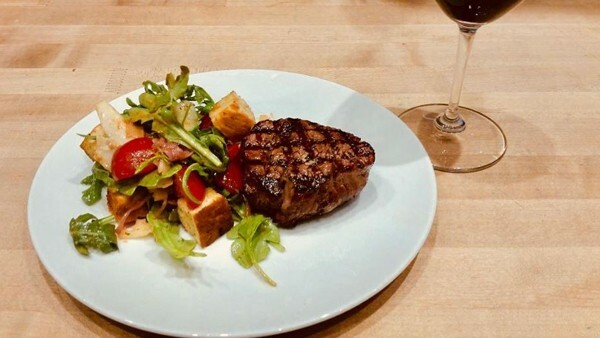 With an on-site sommelier ensuring the perfect wine and dinner pairing, as well as a cigar menu for a new twist on dessert, this is the perfect romantic dinner spot. Book your reservations now.